Closing your French Camp Pool? Swimming pools need to be well cared for at every stage, from opening day through to the end of another swim season. Tracy Pool Service and Repair Inc provides professional service on all models to any property in the region, including affordable, prompt pool closing in French Camp, California. 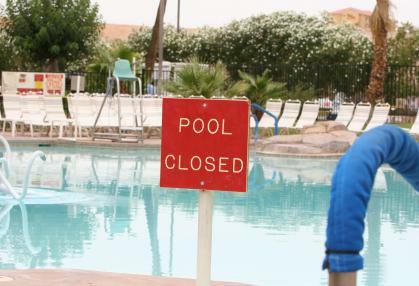 Whether you need to close down an above-ground, on-ground or in-ground pool in French Camp, Tracy Pool Service and Repair Inc has the expertise required. Pool closing in French Camp takes time, and hiring a professional pool cleaning company to handle this job makes sense. Tracy Pool Service and Repair Inc staff have years of experience, established in the California region since 2017. Our employees receive extensive training and hands on experience to ensure they are up to date with the latest trends in the pool maintenance industry, including energy efficiency, environmentally friendly products and pool durability. Tracy Pool Service and Repair Inc offers premium service at reasonable prices, working hard to help French Camp residents affordably maintain their outdoor living spaces. Protect your investment by ensuring a professional clean up, inspection and pool closing performed by Tracy Pool Service and Repair Inc. Our rates are guaranteed to be competitive within the French Camp region; just call and ask for a quotation. We maintain our local reputation with hard work and diligence, and remain dedicated to the pool maintenance industry. French Camp pool owners often go to Tracy Pool Service and Repair Inc staff for advice and direction. We're available for more than just pool closing, and our expertise and knowledge will help keep your pool sparkling all season long. Budget your time wisely by having a professional look after your pool closing in French Camp, California. Tracy Pool Service and Repair Inc provides dependable, affordable and knowledgeable services that French Camp residents can rely on to extend the life of their pool. Call (209) 407-4770 today for more details and to obtain your free estimate.